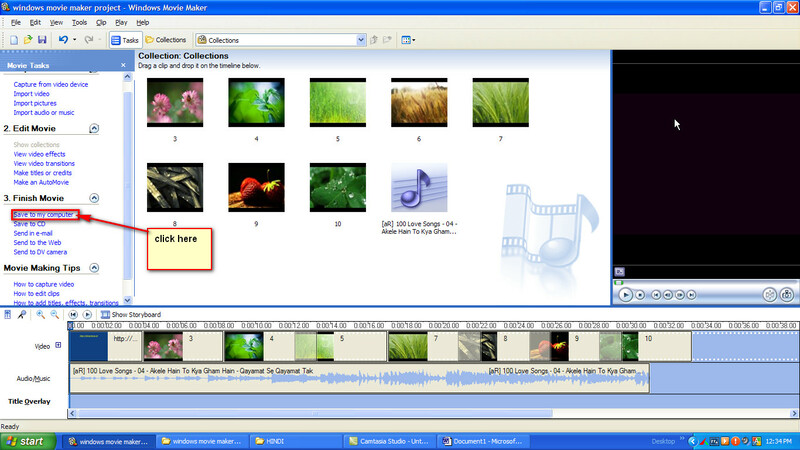 Today we learn how to take the output from windows movie maker. 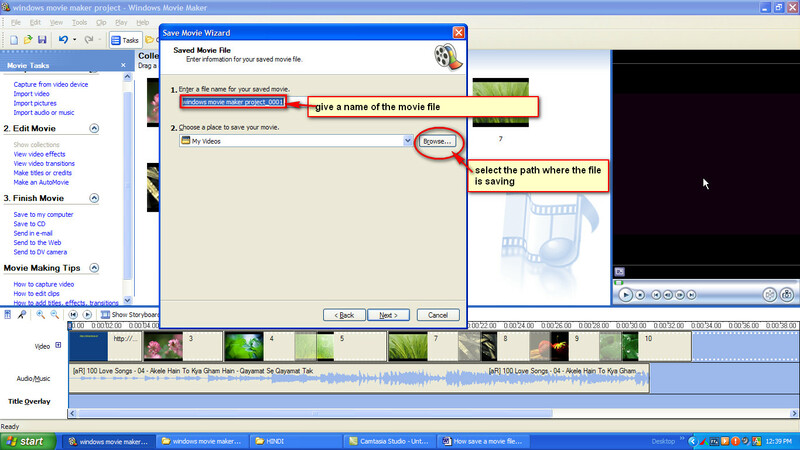 We learn how to save movie file. 1. Give the name of the movie file. 2. 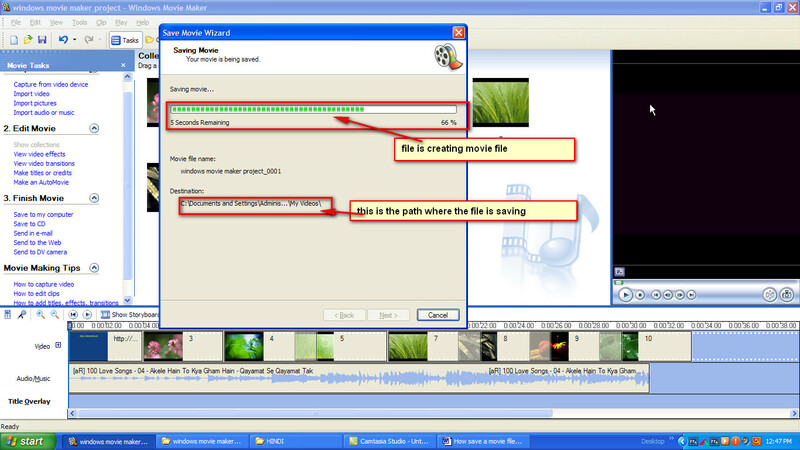 Give the path where the movie file will save. The movie file is starting to render. Its create your movie file. click Finish Button. The movie file will playing automatically.